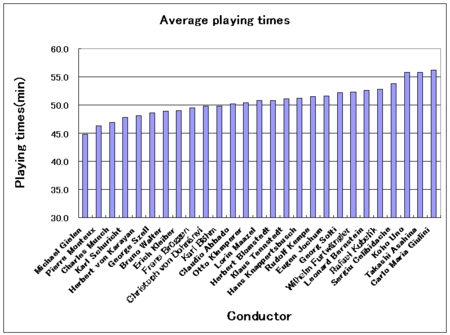 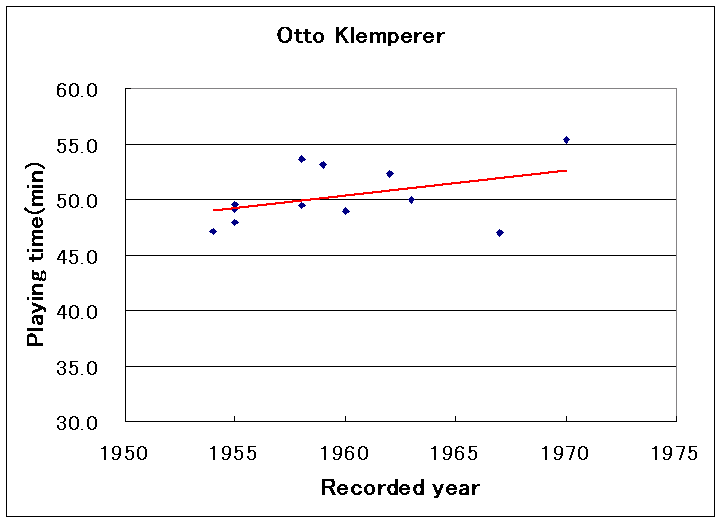 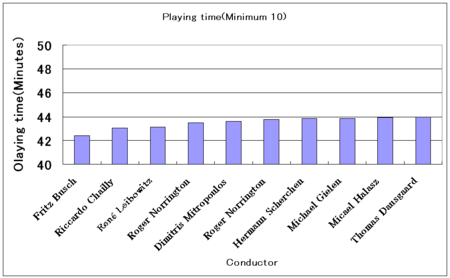 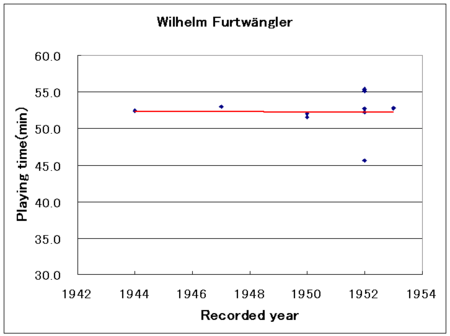 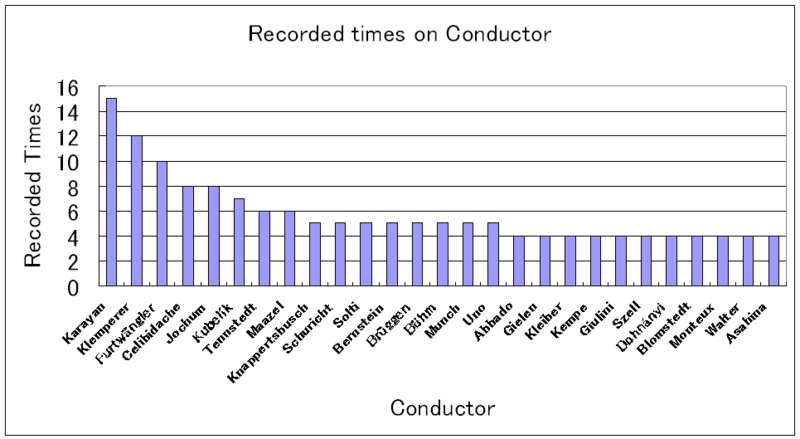 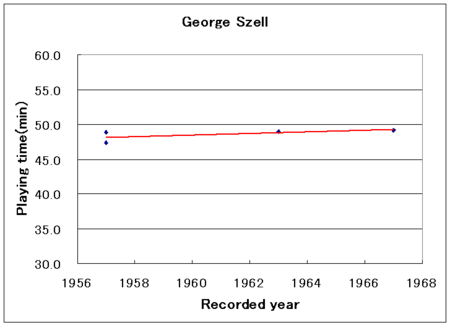 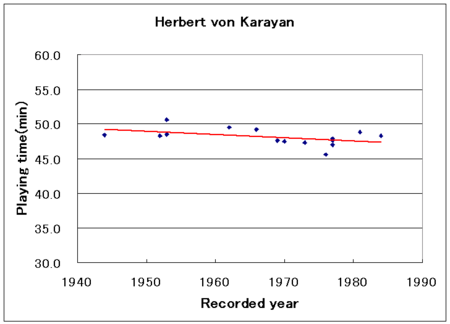 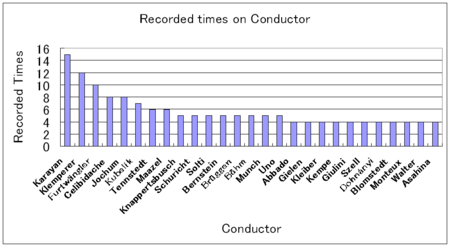 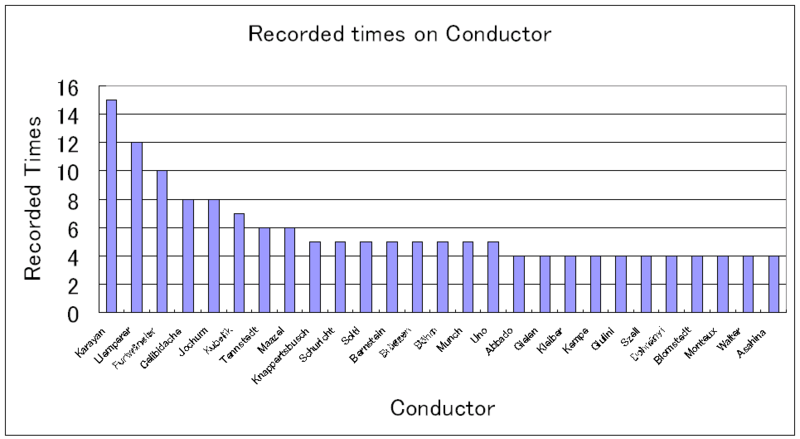 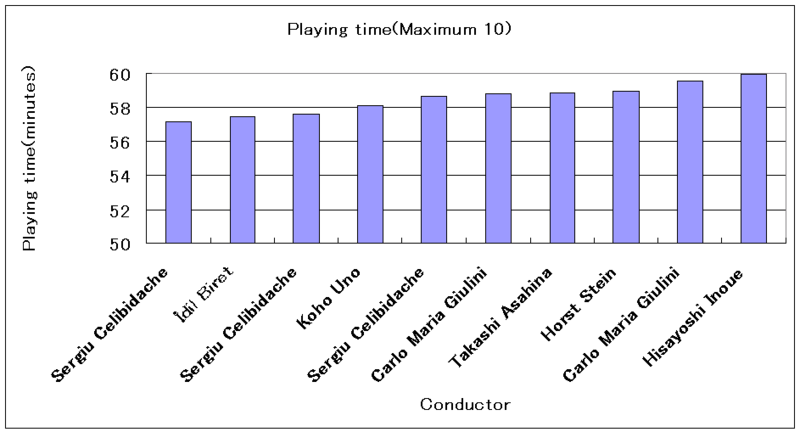 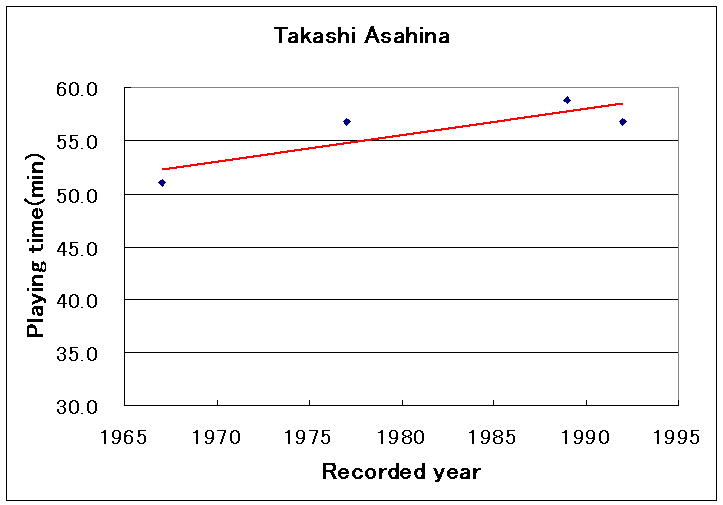 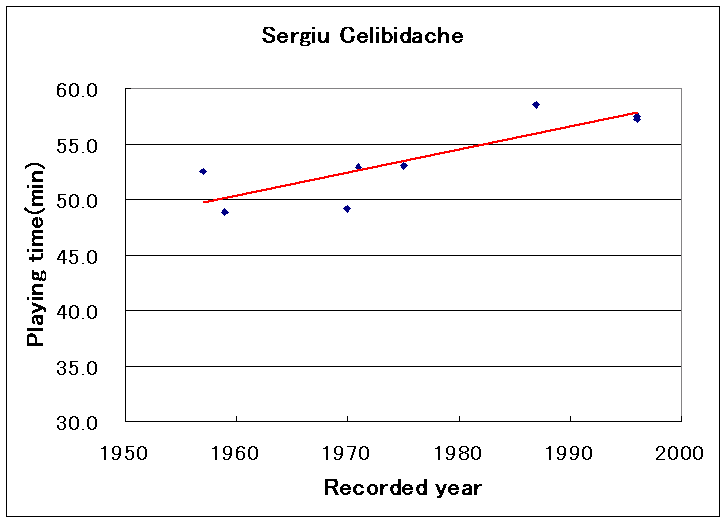 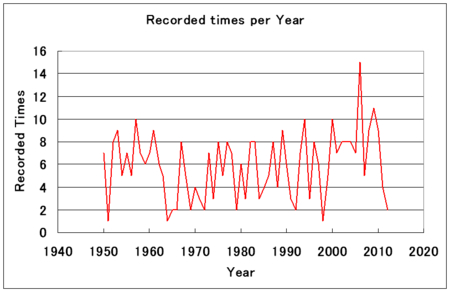 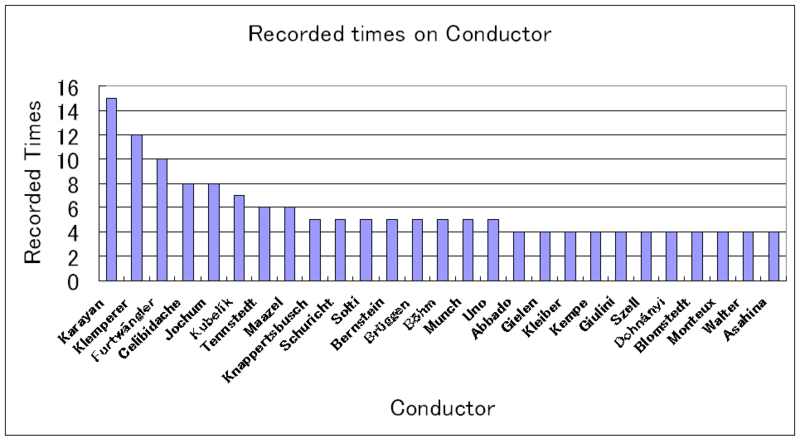 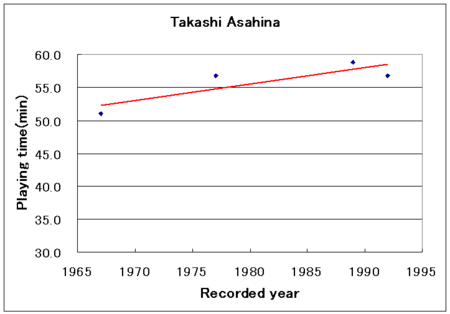 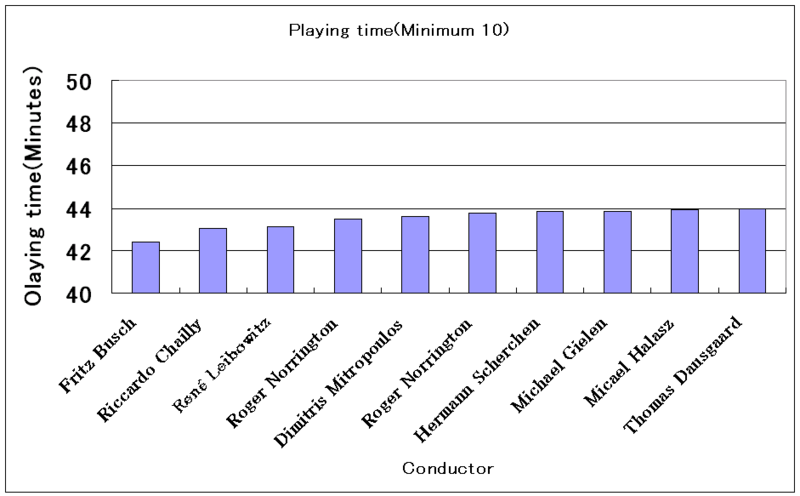 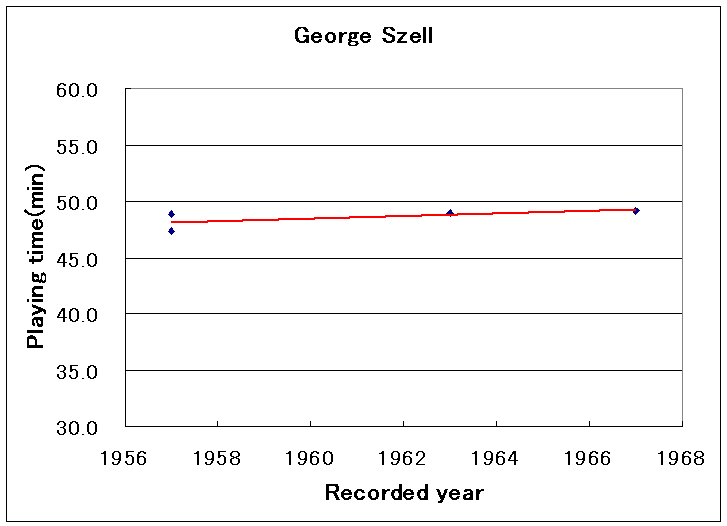 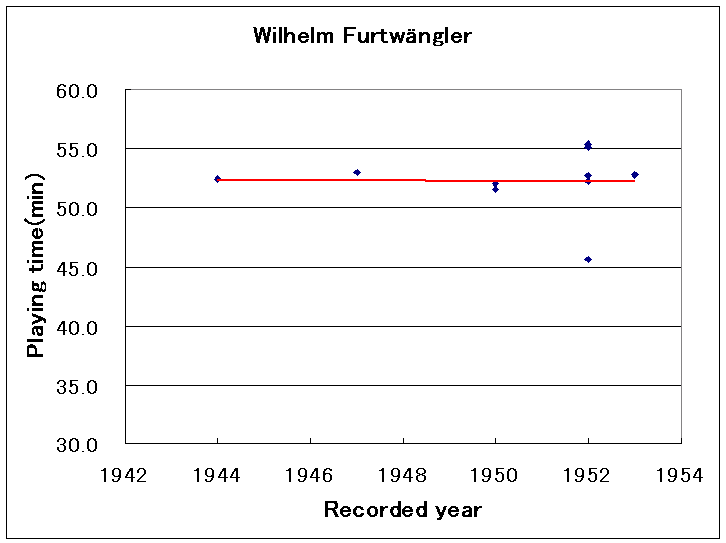 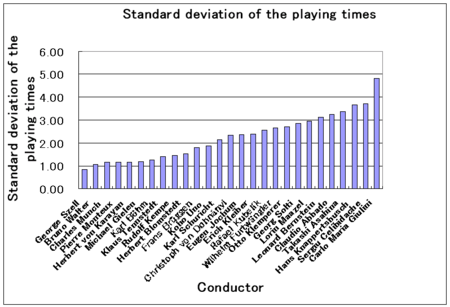 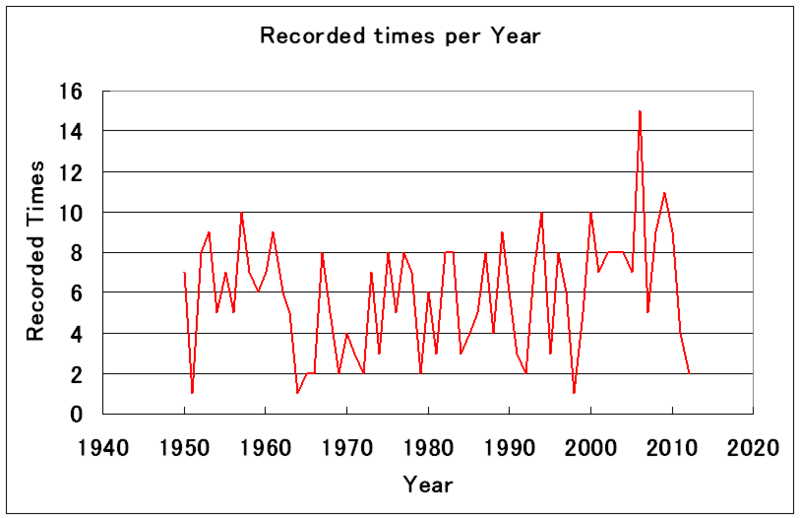 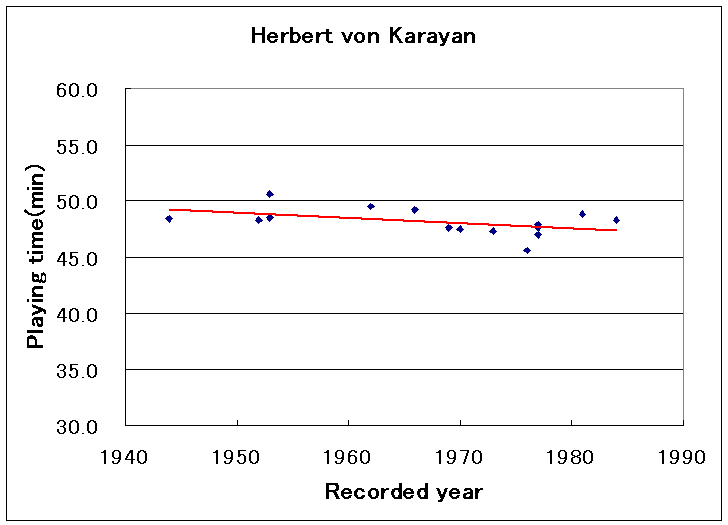 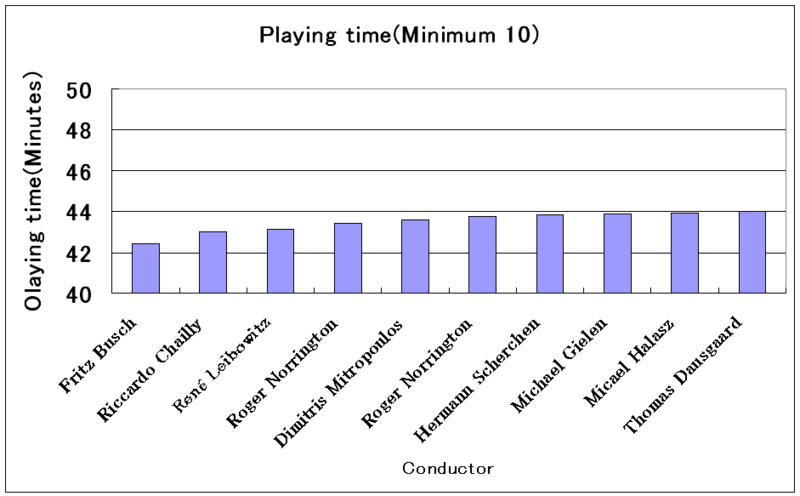 I'll show the playing times per recorded year on the famous conductor. 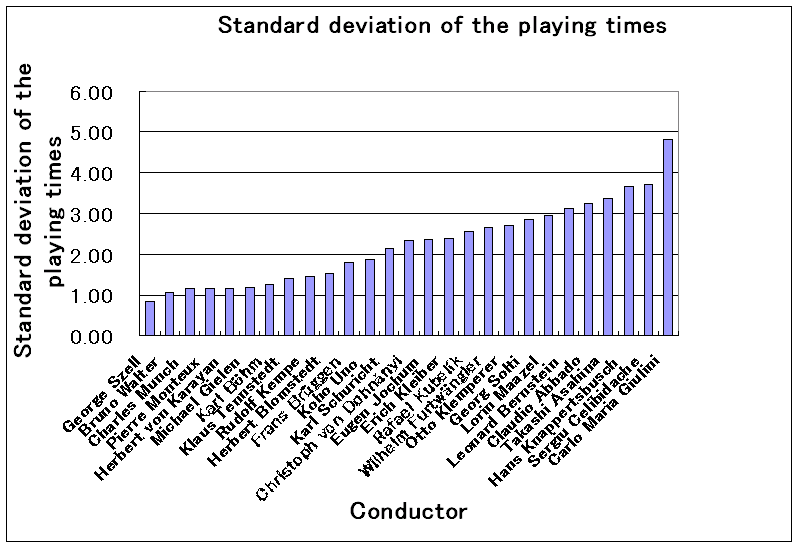 I'll show the average playing times and the standard deviation of the playing times of the conductors recorded over four times. 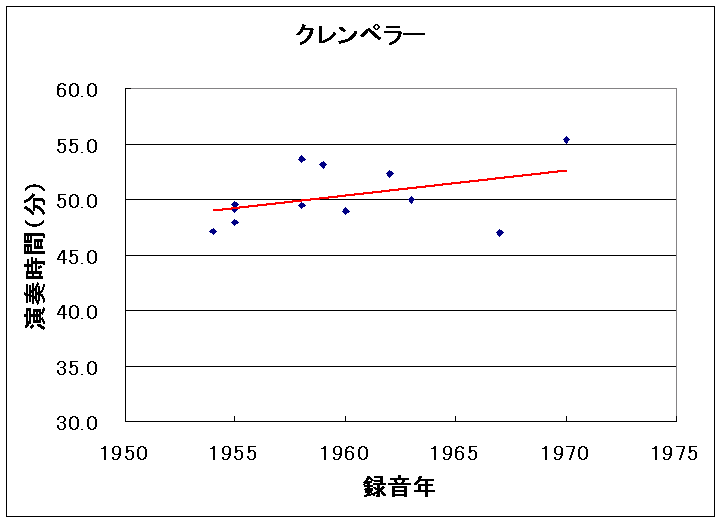 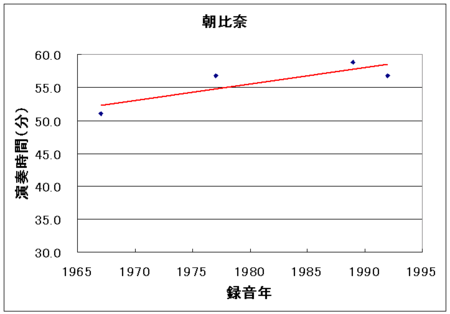 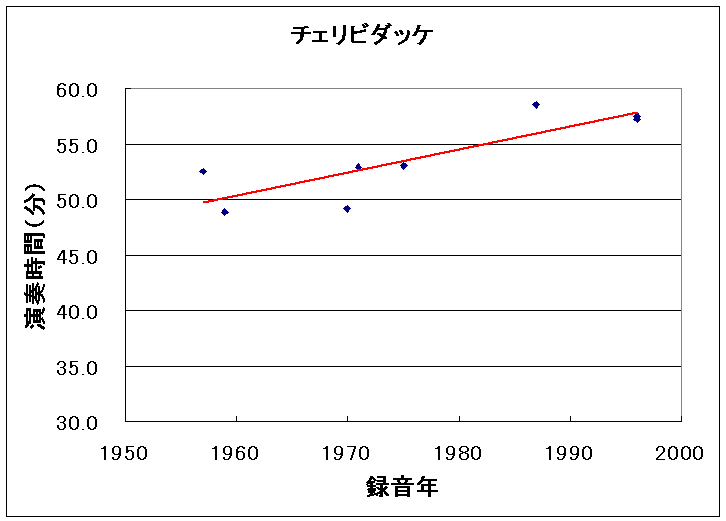 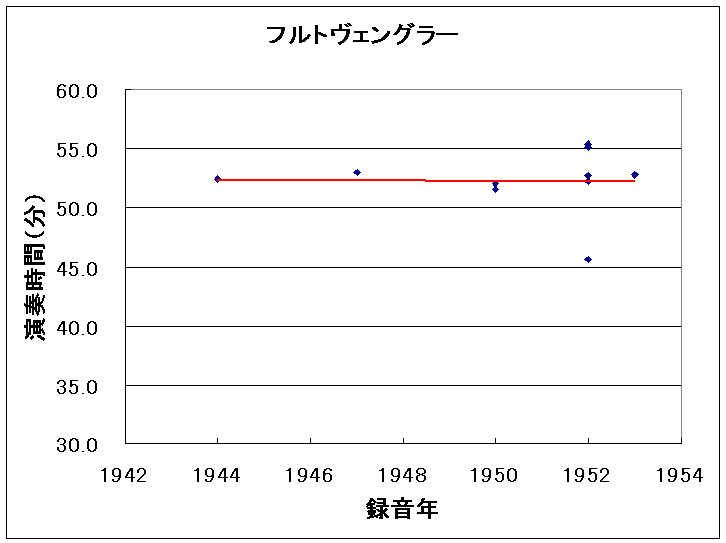 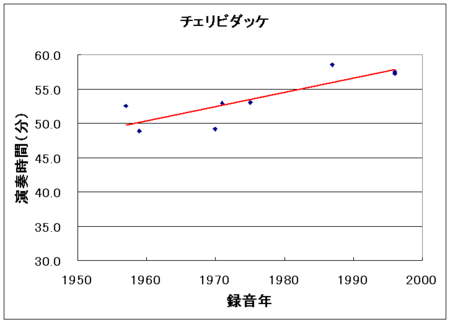 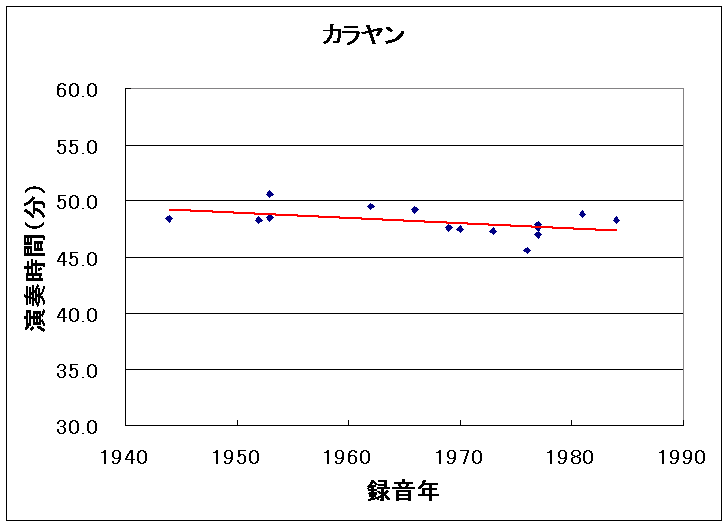 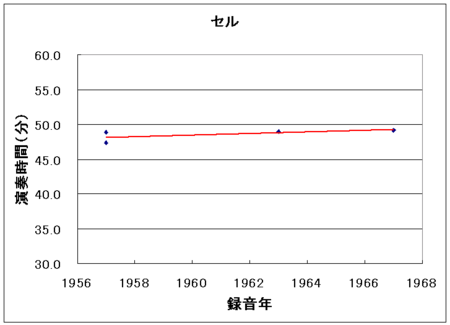 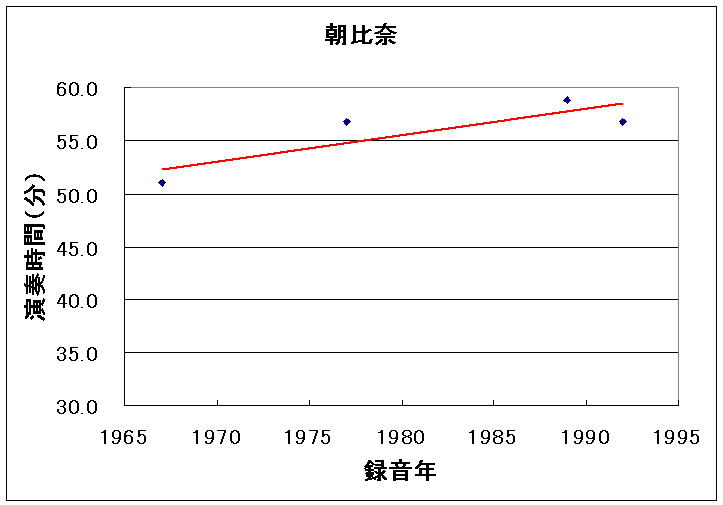 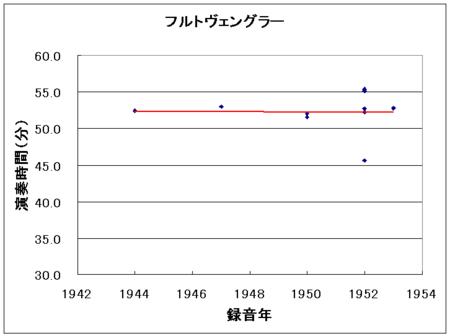 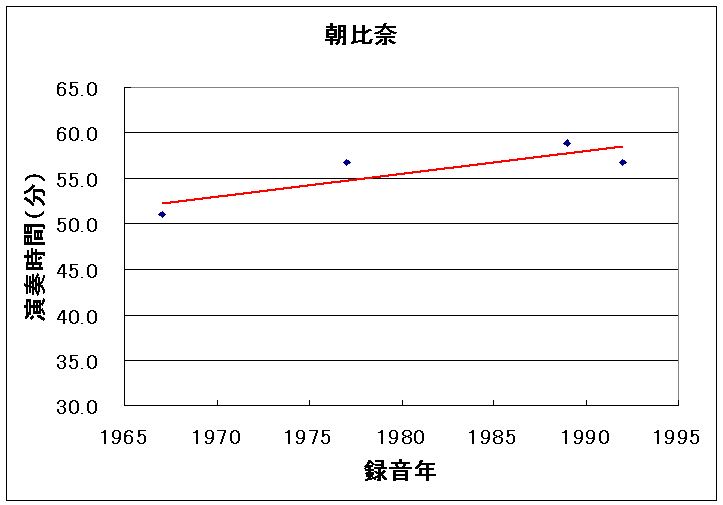 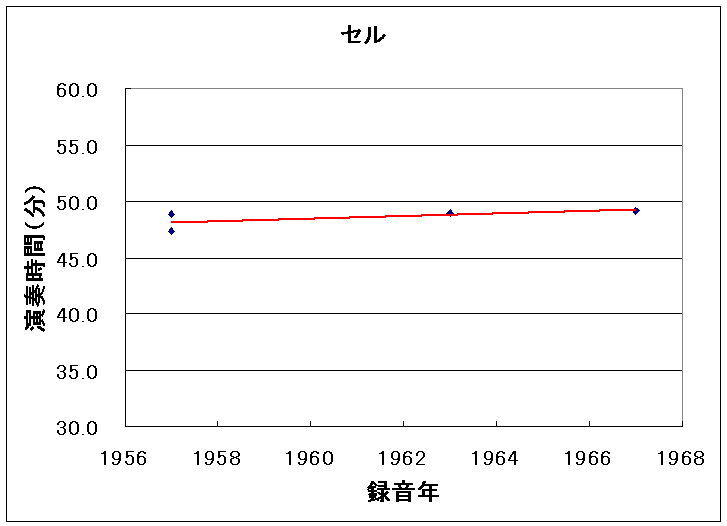 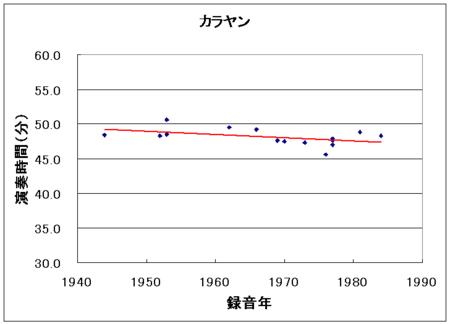 I'll present the data of recoeded times of Eroica Symphony on conductor. 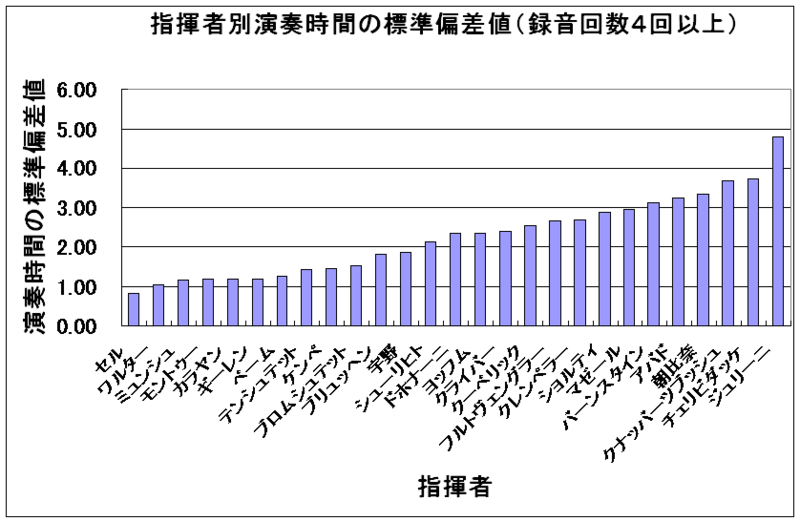 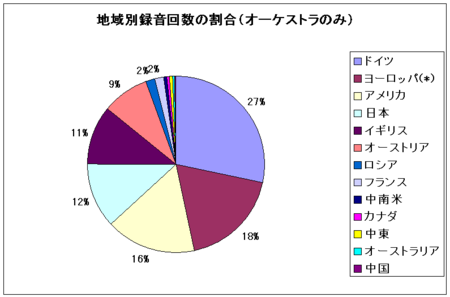 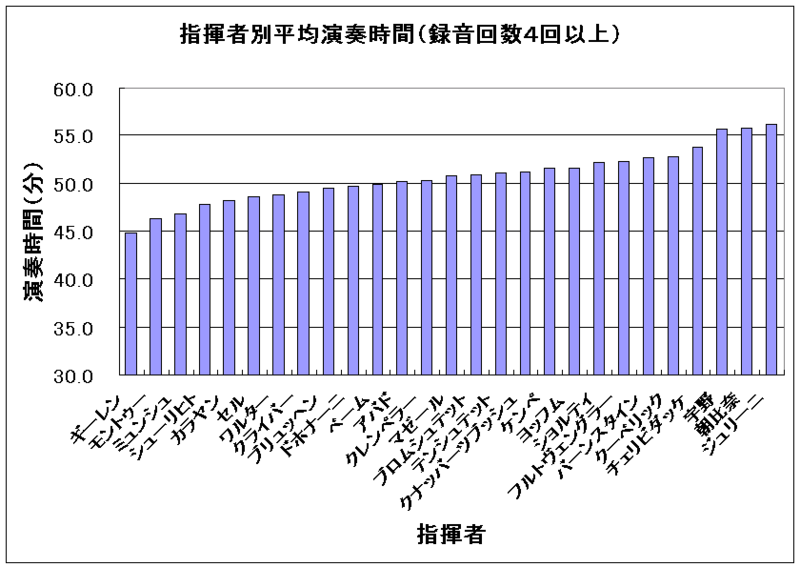 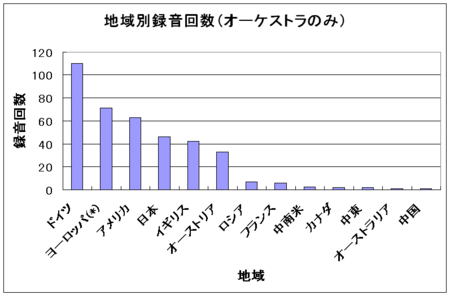 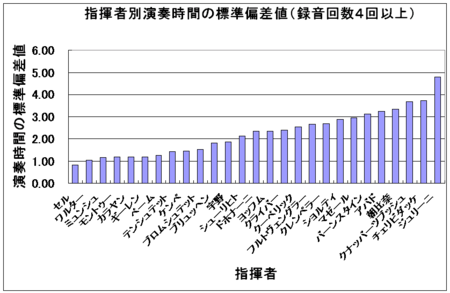 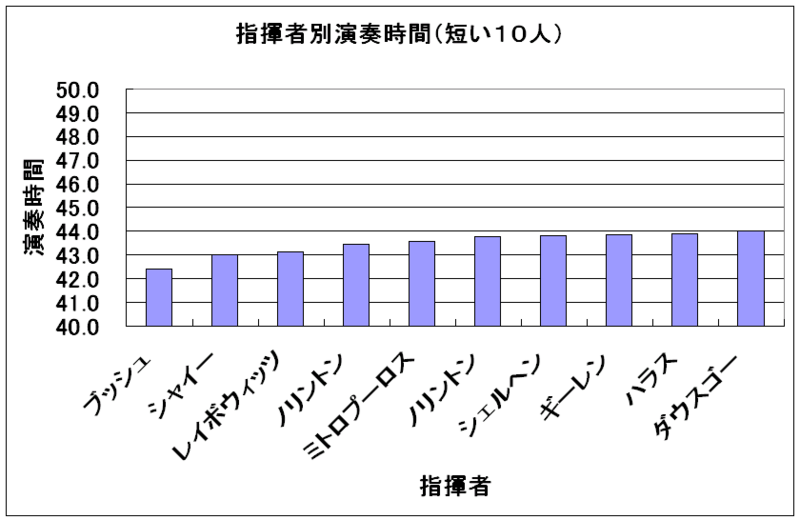 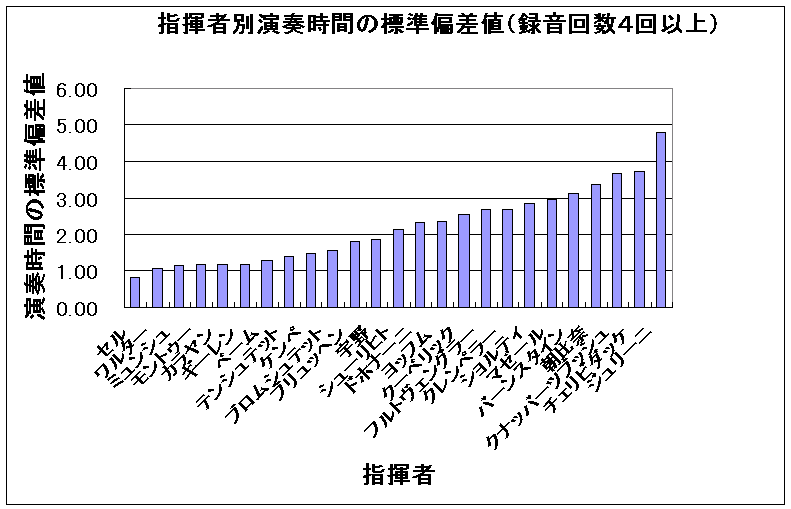 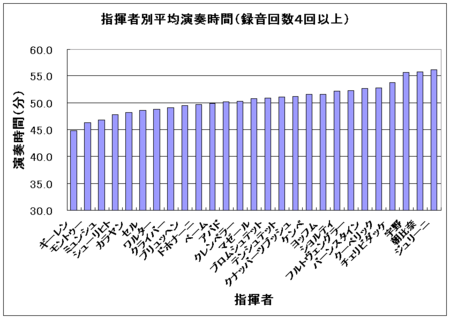 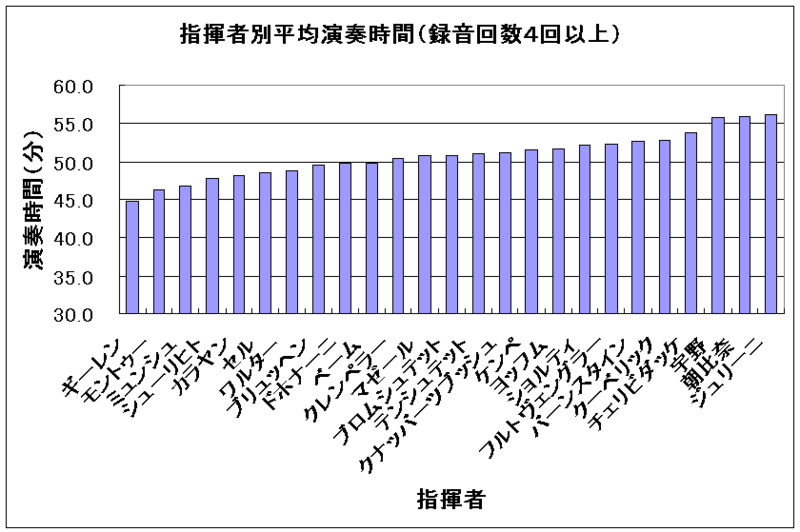 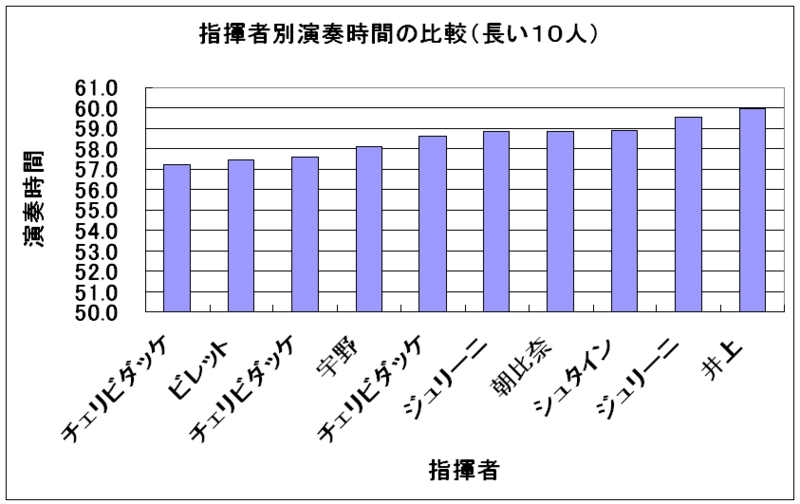 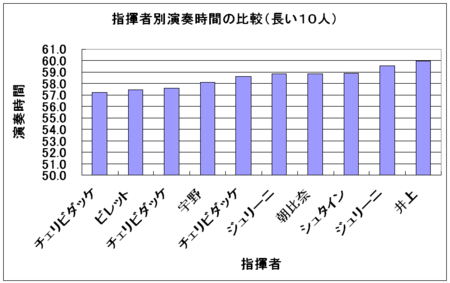 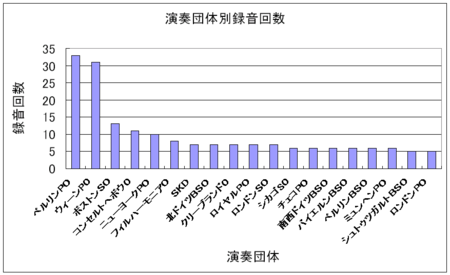 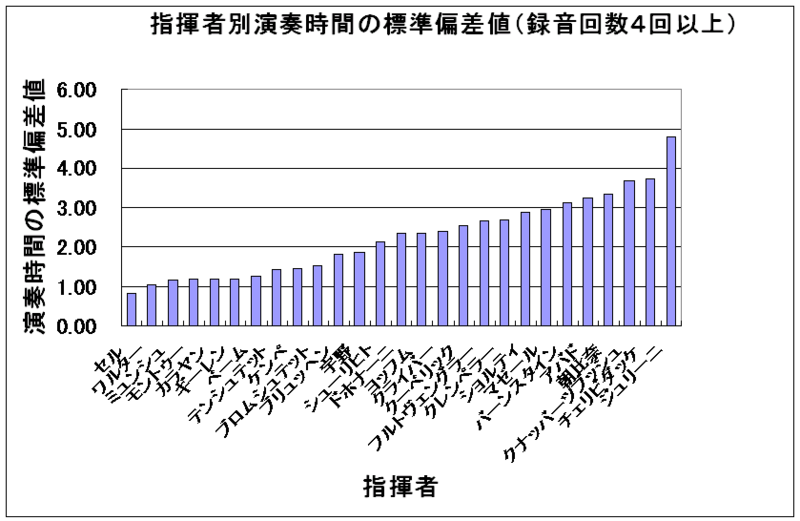 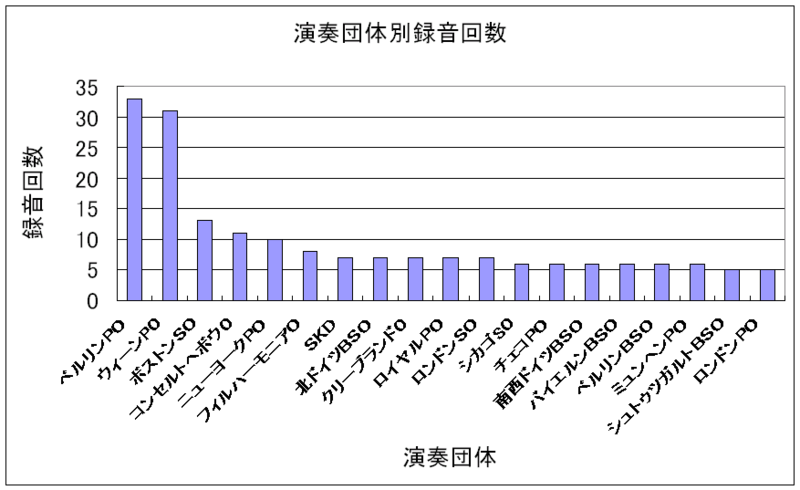 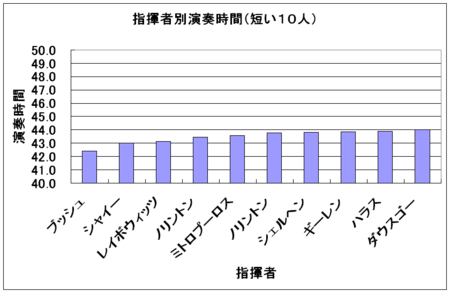 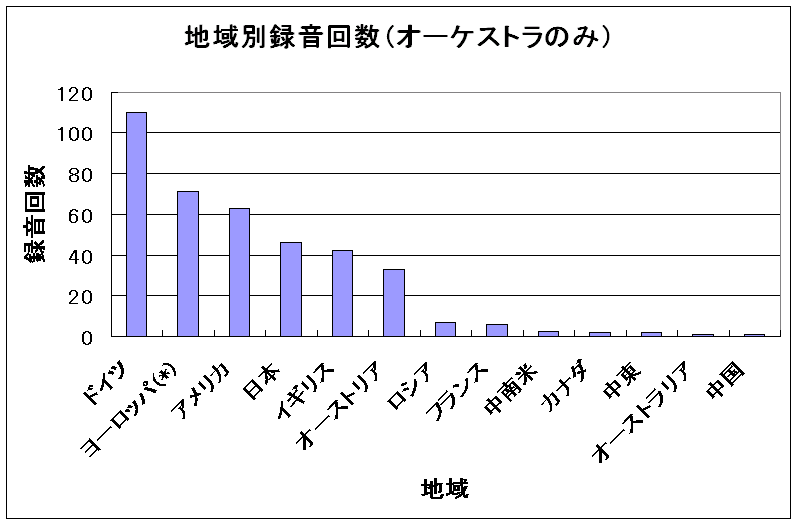 Click on the graph,you can get large image.